Since virtual classroom skillsets are not as off-the-shelf as face-to-face training skills, we often wonder just how well we are doing at this virtual facilitation gig. Often, our only feedback comes from “smile sheets,” the surveys at the end of class to see what people thought of the program. But how do these really help guide our professional development when only five out of 30 learners actually filled it out? How can we assess how things are really going in a virtual facilitation setting? First of all, we need to stop thinking that assessment only happens at the end of the lesson. As facilitators, we should be assessing in multiple ways and times throughout a lesson. Participants in any training learn in various ways, therefore we should use many different approaches to assess their learning along the way. Similar to in the face-to-face environment, virtual learning assessment falls into two categories. All assessments can be classified as either formative or summative depending on when the assessment takes place and what the purpose of the assessment is. The tricky part is thinking about how to make those assessments work in the virtual classroom. Many of the techniques are the same; it really just involves looking at the platform and determining which tools are available that simulate the assessment situation in a face-to-face classroom. Formative assessment refers to any type of assessment used to gather student feedback and improve instruction. It can occur during the learning process, often while students are engaged in other activities. Anecdotal records, periodic quizzes, diagnostic tests and in class assignments or self-directed work are all types of formative assessment because their primary use is to inform the facilitator about the learners' progress. So how can we assess virtual students in a formative way? Diagnostic Tests - In the virtual environment, it is important to send out pretests and pre-surveys to evaluate the learners’ skillset before coming to the virtual classroom. Just like in the face-to-face classroom, facilitators like to group their learners into engagement groups where either like-minded people are together or those that could learn from each other are together. Feedback tools – Using the green checks and red Xs as a way to informally poll the group on topics as you teach. This allows the facilitator to do a quick inventory of knowledge transfer in the moment and make adjustments as needed. Polls – Incorporating polls throughout your virtual classroom instruction allows for a bit more formal approach to checking on that knowledge transfer. Polls allow facilitators to take that information and apply it in the self-directed work for students to get more practice. Surveys – Give Level 1 and 2 assessments through surveys so learners can provide information to the facilitator about the emotional side of the learning. Observation – The most common form of formative assessment, observation involves the facilitator “walking the room” to monitor student progress. Virtual classroom tools empower us to observe learner progress, even with the loss of face-to-face contact. Role Play – Asking students to “act out” portions of the content in real life scenarios helps them apply knowledge in a safe environment. Summative assessment is an assessment that usually occurs at the end of a unit of study in order to measure knowledge transfer. Most traditional assessment types are considered summative. This type of assessment typically reflects the facilitator’s ability to communicate the information out effectively and the learners’ ability to take the information in. So how can virtual learners be successfully assessed in a summative way? Written Assessments – Most virtual classroom platforms include some sort of testing feature that you can either use in the classroom or outside of the classroom to measure knowledge transfer. 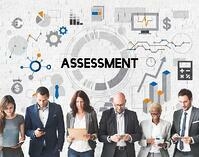 Traditionally, written assessments include quizzes and tests. Debates – Learners take a stance on a topic, discuss in small (breakout) groups and defend their position to the entire group. Teachbacks – During a teachback, learners select a piece of content, teach it back to the group, and accept feedback from the cohort and facilitator (if appropriate). Project-Based Assessment – Learners create materials to represent the topic and showcase understanding and application. Portfolio Assessment – As a way to review both the informal and formal progress of the learners’ knowledge, portfolio assessment can include a variety of options. Classroom participation using the feedback tools. Quality of the conversation during discussions. Interactivity and engagement throughout the lesson. Teachbacks (take a piece of content and teach it back to the group and accept feedback from the group). Project-based assessment (create materials to represent the topic to showcase understanding and application). Assessing the success or failure of the virtual classroom comes down to paying attention to how and what you are teaching in the virtual classroom. Just because we are online doesn’t mean we forgo the ongoing assessments that guide our instruction. It is imperative that facilitators build in a lot of formative assessments into the teaching to keep the momentum of the class moving and learner interactivity up. Remember, assessments in any classroom don’t need to be formal to inform your teaching - they just need to help you assess whether you are making a difference in the knowledge transfer. It is not enough to survey the learners at the end of a lesson to determine if virtual classroom teaching is effective. Incorporating assessment into the virtual classroom will increase interactivity and engagement which will lead to much higher transfer of content and retention. To find out just how successful your virtual classroom training is, reach out to InSync Training for a formal assessment of one or more of your classes.